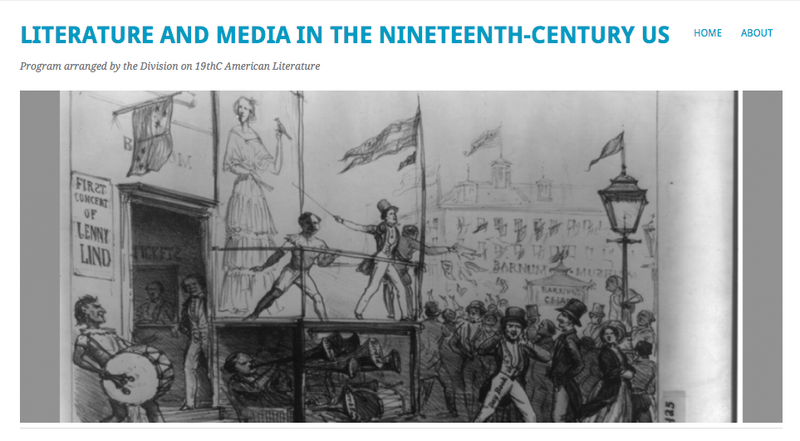 I’ve organized a roundtable on “Literature and Media in the Nineteenth-Century US” for the Division on 19thC American Literature. On Friday, Jan. 10 from 5:15-6:30 (Chicago A-B, Marriott), come hear Jonathan Elmer, Teresa Goddu, Naomi Greyser, Brian Hochman, Christopher Lukasik, and Lauren Neefe discuss how media history and media theory have changed how we think about 19thC American Literature. Roundtable participants have posted statements in advance of the session so as to maximize the time we have for discussion; come join the conversation!